Happy Quilting: Starboard and 75 Fun Fat Quarter Quilts!! Today I am super excited to share with you one of those secret projects that I have been no so patiently waiting to show. This is Starboard and it is featured in the newly released 75 Fun Fat-Quarter Quilts book by C & T Publishing!!! I decided to quilt this with one of my favorite all over fillers. I did about a medium scale and quilted a combination of swirls, echoed paisleys, and pebbles. I just love the extra movement it gives to the quilt. I decided to play with the layouts of my blocks. The blocks in Starboard all have 8 HST's and 8 Squares and so I kept that constant in each of my twists. Every block in all of my variatons have 8 HST's and 8 squares, and then I changed up the placement of the units and added some sashing or put it on point. The results are 6 additional designs in varying sizes that are all quick to make and so, so, much fun!!! Aren't they so much fun!!!! Each quilt starts with some favorite Fat Quarters and a background fabric. So the cutting is done in no time and you can get right to sewing ;) I can't wait to make up each of these designs. I totally want to drop everything now and make that cute Christmas Tree one!!! So cute!!! Melissa, I hazard a guess that it is over 100 fat quarters, but beyond that...? I find that lately I often buy a half yard rather than a fat quarter. What a great book! Um, glad we're not actually counting! :) I guess around 50 or so. I find that I'd rather buy yardage and get a half to a yard of fabric for two reasons: one - I don't always like every print in a FQ set and two - sometimes you don't cut right or really like the print and need just that little bit extra! I probably have about 50 fat quarters in my stash. I'm trying to use them up! Luckily you didn't want an exact number! I probably have at least 75 or more fat quarters in my stash. This will be a great resource to help use them up. Love your pattern. I have 250 fat quarters. I buy mainly fat quarters anyway, but i bought a LOT for fat quarter bundles several upcoming quilt a longs, a couple of upcoming birthday quilts, plus all the sets I already had. Then my mom went crazy on black Friday and bought me a ton of bundles (i love that woman). We just spent this weekend reorganizing my sewing studio and we just happened to count my fat quarters. I had 262, but i gave my daughter a bundle for a project she is doing. Thankfully i have great storage for all my fabrics. I need this book apparently, lol. I don't think I can count that high. Maybe I need this book? I bet I have over 1000 fat quarters in my stash and I'm not about to count them. I've got more yardage than fat quarters, so my number is rather low. I'm guessing 100. I don't know the exact count but there's probably at least 6 different FQ bundle collections in my stash. It's gotta be over 100. I love that star quilt, so very cute. I just received my Black Friday purchases, which were all FQs. Add those to what I already have, I would say 1500 - yikes!! Cute Quilt! and love your variations too! I would have to guess that I have at least 400 or 500 fat quarters hanging around. I really should do something with those (wink). Isn't it fun to see how rearranging the HSTs can bring a totally different look? How many FQs you ask--wild guess 250, mostly in a collection set that I loved. This book would definitely be useful to me. Thanks, Melissa. I enjoy your blog. I belonged to a monthly mail out fat quarter club waaaay too long so I have over 200 FQs. I'm looking for ways to use them and this book seems perfect! I have mostly half yard cuts, , but do have some FQ bundles, and some in the bins of individual colours, especially neutrals I am guessing a few hundred. I mostly have half yard. Most of the fat quarters are ready and waiting for specific projects. I love this quilt and all its variations! I do have a lot of fat quarters, maybe 20??? Well, now that I have read some of the other comments 20 doesn't sound like so many! I have most of my fat quarters in one place, but others are spread out. Hard to say. I'm guessing somewhere between 100 - 200 fat quarters. Yikes! Thanks for the chance! Love fat quarters - must have at least 100 - 150 in my stash!! OMG! I love your Starboard quilt and all the variations. It's hard to believe you can get so many totally different quilts from the same blocks. They are just beautiful! I'm going to guess 200? Probably a 100 or so. Love the different options in the book. 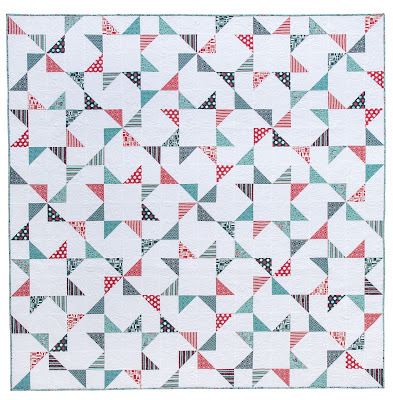 I agree with Bec, the differences in the quilts you've shown are amazing! Umm, I'm glad you said don't count. . . it's over 300 but possibly under 500... :) I went through a FQ faze . . . or haze LOL Always trying to figure out the perfect pattern for the bundles I have. Not a fan of scraps (I know!) so when I use them, I want to use them ALL :D I find that when they are a read as solid fabric, they are the perfect size for a mini whole cloth quilt! I probably have 25. Don't ask how many yards of fabric I have....I used to work in a quilt shop. Outgrowing my craft room. I probably have around 250 - 300 fat quarters. Your quilt is beautiful and I like how you changed it around and can see why you want to make the Christmas tree quilt. Thanks for a chance to win a copy of the book. I think I must have about 200 fat quarters. It is fun to see how the same blocks look so different with a different setting or colors. I'd say I probably have about 70-80 fat quarters, I think! Thanks for the chance to win this great book! I like Starboard! I have around 400 FQs in my stash, mostly collection bundles. Please don't tell my husband but there are at least 150, and that's not including the 1/2 yards or other yardage. But Shhhhhh.... Don't tell I'd rather delude myself into thinking he's clueless. I've pared down my stash lately, so I would I only have 30-40. Let's say 200. I bet they've been sneaking up on me, because when I want an entire collection, this is what I go for. My guess would be around 150, including a bundle plus some stash I've been collecting for your rainbow I Spy pattern. Thanks for the chance! I guess I have about 150 FQs, mostly from buying bundles. I seldom buy random fat quarters. They are all looking pretty in a 7 foot tall CD tower. So it seems that I could use this book! I guess I may have 50 fat quarters in my stash. Enjoy your blog. Thank you for the chance to win the book. Your layouts are great. Fun to see the change ups! I'm sure I have 100 fq's and/or smaller remains of them. I've begun shopping my stash all year! Love Starboard! Crisp and fresh. I like the pinwheel in there too. Hmmm. 500?! Don't tell my DH. I would say 30 fat quarters. I have around 100 fat quarters. They are organized according to colour. Ackkk. Id say at least 300 but I've got yard, half-yard cuts too! Starboard really does look like pennants dancing in the wind. A wonderful quilt Melissa! How fun to be a part of this collaborative effort - Congratulations! 75 FQ designs is pretty amazing too! I think I have more than 200 fat quarters in mustache, LOL. Mostly in bundles. Your quilt is lovely and I sure do hope I win a copy of the book. I must have about 20 fat quarters right now. But I have so much other material too so I know I can make lots of quilts that are in the book. Love your "Starboard" quilt and I automatically see stars! This would make a wonderful Quilt of Valor in reds and blues. I have several hundred fat quarters. Whole fat quarters, maybe 10, but with partial ones probably about 40. Oh, my how many fat quarters. Why don't I say 100. Loving what I see about this book so far. Fat quarters- mere scraps that are larger than normal! About 200 but who is counting. I asked my granddaughter and she said "a bunch." I estimate about 200 so I definitely need to win this book so I can use some of them up! What a great new book. Congratulations on your quilt entry! I bet I have a zillion fat quarters. I prefer those as I like to make scrappy quilts. Love this book! I have 5 plastic shoeboxes of fat quarters and then some others here and there! I probably have about 75 fat quarters. I would love to win this book. Love your new quilts shown here! I'm thinking I have about 100 fat quarters in my stash but that is only a guess. I think fat quarters are my favorite pre-cut so I look forward to seeing all the new ideas for using them. 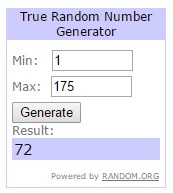 Thank you for the sweet giveaway! I would say I have around 25, I do try to use up before I buy more. This book is something I would love. Easily 4000, yes 4 thousand. Don't tell my hubby. Well, it does look like fun! My favorite is your quilt in the book! I love it Melissa! OMG maybe around 80 FQs. So the quilt patterns are perfect. I will guess 75 - 100. The variations you show here are great options. Maybe 30? That's just probably the uncut ones. This looks like a great book. Thanks for the chance to win. Shhhhhh....about 200. Your quilt is twinkling! Because I'm the 8oth comment on this post, I'll guess that I have 80 fat quarters. Actually, that is likely a very close estimate! Merry Christmas to you, Melissa! I need to get busy, I probably have 150. I know there about 10 bundles still tied with bows in addition to the loose ones that multiply like rabbits. Maybe a couple hundred? Maybe more? Better get busy! Gorgeous!!! I must have at least 75 to 100! I love your bottom layout as it looks like little fish swimming to the west . You are so creative. Love the bottom left variation. I bet I have close to 150 FQ's. I could use several FQ's making quilts from this book. I'm going to say somewhere around 35. Thanks for a great blog to visit. I'm more of a yardage girl but I do have at least a hundred or more fat quarters. Love all your designs and when I win the book will make a few, ha! Thanks for the chance. Scary reality for me to figure out how many fat quarters in my stash... very scary! I sew in two different homes and so, between the two sewing rooms, I will guess 300? Oh, that seems like a lot! But really, it is just over 75 yards right? Which is 37 yards at each house. Oh, my, your quilt is beautiful! I think I have at least 100 FQs in my stash. I am trying to use them up, so this book would be great to have in my library! I almost hate to think sbout how many fat quarters I have --- it is the way I add fabrics to my stash, without buying yardage. I suspect I have at least 150. ...and I am particularly fond of scrap quilts. I think I have over 75 fat quarters. I need this book. Love your quilts, thank you for sharing. Probably have 50 fat quarters. I use to buy them all the time but now buy half yard cuts. When you think about it, that is 2 fat quarters!! I would guess 150 but I bet it is a lot closer to 300. They have so many uses and then I hate to use them. So what can you do except buy more. I have about 40...lol..some wholly intact while others have been cut into. I probably have 30 bundles of FQs plus the uncounted random left overs or one at a timers. I am excited that the last 3 quilts used up almost every FQ in 2 long time bundles. My goal is to use more of them this year before buying more. 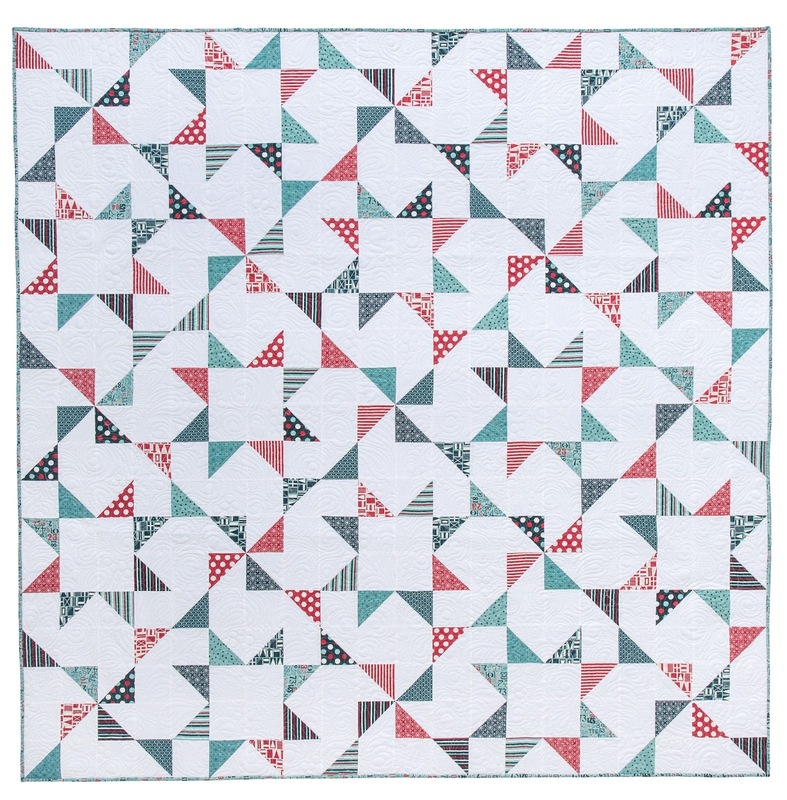 Love the quilt and the alternate blocks. Thanks. I would guess 50 to 75? Sure could use a book with some new ideas in it! I love your quilt and this book! So many possibilities. I would guess I have 500ish fat quarters so I definitely need this book and to get busy! I must have over 75 fat quarters waiting to be used. This book looks like a great idea. I always said I wouldn't just buy fabric. Ha! I lied. I think about 300 fat quarters are in my stash. Better go sew! Thanks for the chance! About 50 fat quarters live in my stash! Love your quilts!!! I probably have hundreds--I've lost count! This book would help me corral many of them into great quilts, I'm sure. Oh gosh! Well it looks like I'm normal, reading the other comments, hehe. I have about 175-200 fat quarters. I am sure I have at least 200. If they're still tied in a bundle do they count? I probably have about 300, I just can't resist them. Oh wow. That's a good question. They're so addictive to buy, especially when you have a small fabric budget. As an estimate I'd say....about 100? I probably have about 30, but I'm always buying remnants, so I have a sizeable stash. 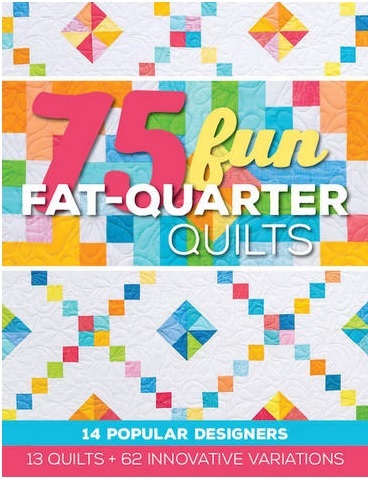 I'd love to make a fat quarter quilt. Wow! How many? Lots!!! I have them sorted by color.....my best guess...200 give or take. Don't laugh. I just started quilting and I think I might have around 8. I'm anxious to get more!!! I'm excited about this book it looks like fun! Maybe 50 or so? Just getting back into quilting after a long hiatus. But I'd love an excuse to go get some. I love how your design feels both traditional and fresh at the same time. Well done. Somewhere between 50 and 100. I love fat quaters and am always looking for ways to put them into quilts! Thank you for the chance to win this book! I don't know, I buy my fabrics from the remnants bin, unless I have a specific project in mind when buying (and when I have a project I want to make, I dive in my fabrics and work with what I have), but I want to treat myself on a nice bundle and make something for me. I am sure it is over 100 probably closer to 200! Happy Holidays! Great quilt! I buy mostly yardage then if I need I can cut into fat quarters. I probably have about 25 in my stash though. Can't wait to see the book. I probably have...at least 100 fat quarters! I LOVE your Starboard quilt!! I have about 75 fat quarters. Thanks for the giveaway! Wow! How many fat quarters?? I would imagine I have at least 300! (How did THAT happen?) Thanks for the giveaway! I've never counted but can give a conservative estimate at 500. Fun to see all your different block layouts! Ha! I have no idea how many fat quarters I have, but I am sure it's somewhere between 500 to 1000--I need this book!! I'm glad I didn't have to count! The total is well over 200 I'm sure & I just ordered a set of 28 different shades of chambray. After I finish my daughters wedding quilt, I have many scrappy projects in my future. This looks like a great book, thanks! I have some yet unsew quilt kits with fat quarter but, If I don't count those , maybe 200 or 300.
why does that number look worse when I typed it! I probably have 250 fat quarters. They are my favorite way to increase my stash! Thanks for the giveaway. Way too many to count! But, I would guess around 300? Thanks for the chance to win this fantastic book. I would say I have 100-150 fat quarters. I would say that I probably have about 50 fat quarters in my stash. I have a few more in project bags set aside for specific projects. easily a 100. thanks for a chance to win the book! I don't collect a lot of fat quarters (I usually buy a half yard); I think I have about 10 that were gotten simply for my stash and probably about 20 that I've gotten with a specific project in mind. Probably about one hundred right now but I use them a lot! Thanks for the chance. I'm going to estimate around 250 - 300. That's sounds so bad when you put a number to it! I better get sewing! I would guess several hundred fat quarters....but don't tell my husband!! I am sure I have at least 100 FQ's but maybe more. I like to keep a lot of colors for applique. I really like your quilts in the book. I am positive I have over 50 FQs. My daughter and granddaughter love going through my stash. Ha! No way am I counting. I'm going to guess based only on the strict, folded, FQ's--not scraps, not formerly half-yards--and say 75. Now, how to explain the piles and piles of fabric that doesn't fall into the FQ category? I'd better get quilting, or I'm just a fabric collector. I would say I have about 150 FQs.....which doesn't include the ones I have already designated for a project.....yikes! Better get sewing.....after the holidays! Pretty sure I don't even want to count or I might have to admit to my husband I have too many! What an amazing quilt and I love the variations. thanks for the opportunity to win a copy of this book. I think I have around 60ish. Maybe more. ;) Thanks for the chance to win! Love your quilt and the variations. I guess I have somewhere between 50 and 100 fat quarters. More than one - ha, ha!! HI,maybe 40 ? Thanks for sharing! Haha, you're making us confess. :) Oh, at least 100 . . . (or more)! I'm guessing over 300. A friend is moving and she gifted me her stash, so I am still sorting and I really have no idea how many fat quarters I have added to what I already had. I'm sure it's well over 1000. 😁. This book would be a start to help put them in something more useful than a shelf. I must have over 200 FQs. It is hard (mentally) to cut them! I thought I had just a few, than organized them and found I had many more than what I thought. Maybe 30? I have about 120 give or take ! I hope to get more soon ! Love the book ! I. Probably have approximately 100 fat quarters in my stash. I love the quilt. I only have around 50 right now. Really trying to use what I have! I just love your quilt and thanks for showing us different variations. So creative. At least 200 as I just ordered some FQ bundles for a few quilts I have planned for my kids' beds. At first, I was thinking I only had around 100 fat quarters, but then I started reading everyone's comments, and realized that I probably have over 200. I just wasn't counting the ones already set aside for specific projects! Counting only the pieces which are fat quarters, not smaller or bigger, maybe 40. Well, out of the 1000 or so of yards of fabric, I'd say somewhere in the neighborhood of 100 fat quarters as I really like yardage!! I tell you, it's very reassuring to see so many quilters have a TON of fat quarters in their stash. I have no idea how many I have, but it's probably enough to make every quilt in the book! Bring it on!!! I think I have too many! I love your quilt and the variations!